Hi all and happy Monday. I just finished up working for the day and wanted to play with the final Viva la Verve sketch for this month. 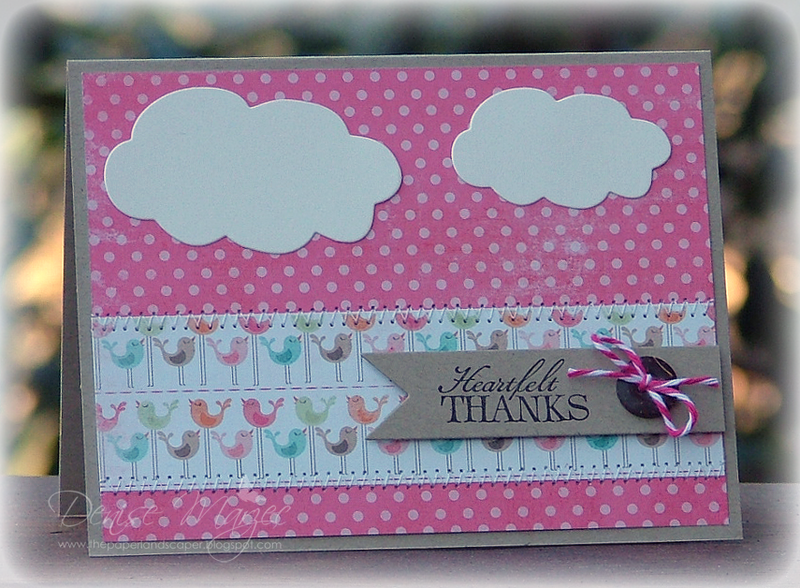 The punched Verve sentiment is popped up on foam tape, papers are Fine and Dandy Girl by My Mind's Eye, the rustic button is from PTI, cloud and ribbon dies are from MFT Stamps, and I just got this FUN Pink Sorbet twine from the Twinery. Love the color! Well, technically it's not her birthday YET, but tomorrow we're having her roller skating party with her friends and then we'll be having family over to the house afterward, and I wanted to show you the card I made for her. Okay, so on that note....have yourself a great weekend! Whooo-hooooo....TGIF! The layout is the Week 3 Viva La Verve Sketch. 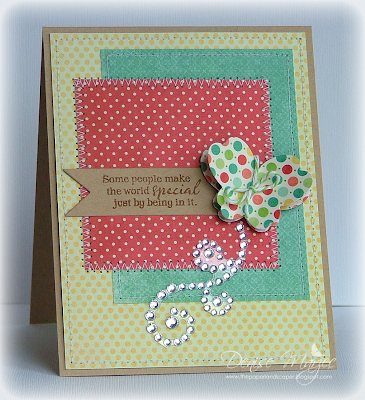 The sentiment is from Feel the Sun and the butterflies were cut with the Flutterby die. 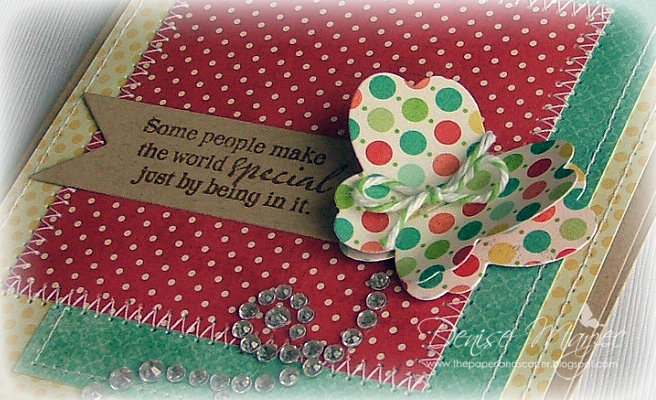 There are two butterflies, each popped on separate layers of foam tape, and I added a small twine bow on top of them. Papers are Jack & Jill Quite Contrary by My Mind's Eye. Hey there! Well, the snow stopped by mid morning yesterday, Dan got the driveway cleaned off, and our friends came over as planned. Yay! Good morning. 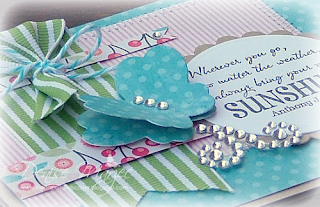 I made this card for someone who was feeling a little down and I hope it brightened her day. The fun layout is Mojo Monday Sketch #224. 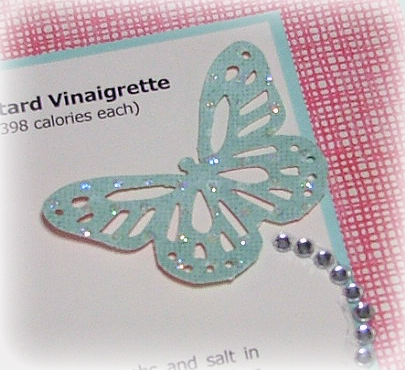 Two Flutterby butterflies were cut out and glued down on separate layers of foam tape. The sentiment is from Feel the Sun. Papers are Fine and Dandy Girl by My Mind's Eye. When I tie bows with twine, the loops always "twist" for some reason and I fight with it to get it to look right. Does anyone have any twine-tying tips?? The layout is Karen's Sweet Sunday Sketch #150, the main panel is up on foam tape, Wryn is colored with Copics, Stickles were added for sparkle, and the papers are Ohh La La by My Mind's Eye. That's it for me today. Short and sweet. Have a good one! I can't find the stamp set in Korin's store to link up to it here on my post, but I do see she has a couple other digi images and sets with the same frog. You can see them by clicking HERE with your mouse. 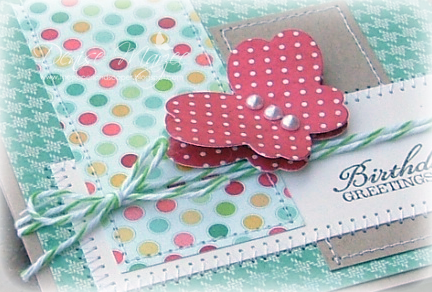 I used my Fine & Dandy Girl papers by My Mind's Eye and added some twine bows to the pennants that are in the paper. 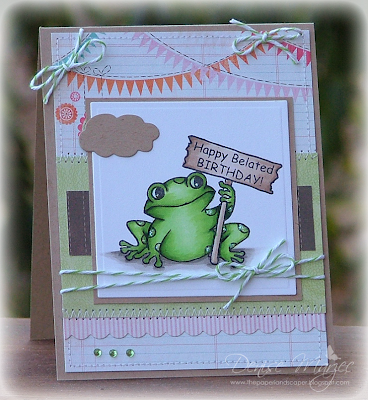 The frog is colored with Copics and I added Stickles to his spots. Hi all! 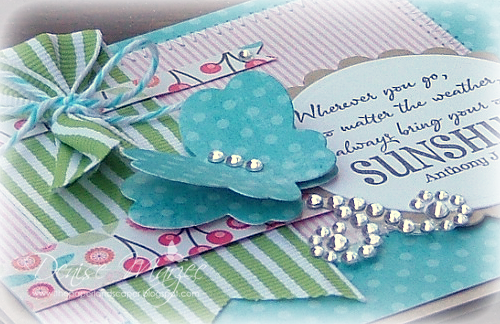 I just bought this new Flutterby die from Verve and I couldn't wait to play with it. I think it's soooo cute! The layout is the Viva la Verve Week 1 Sketch. 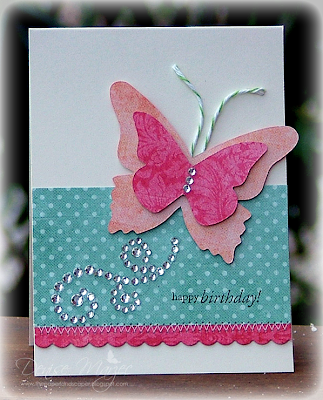 There are two die-cut butterflies. I have each of them on separate layers of foam tape. The stamped birthday sentiment is also from Verve...a freebie that came in my package! :) Papers are Jack & Jill Quite Contrary by My Mind's Eye. Okay...I have found myself a new digi character that I absolutely adore! It's Wryn from Tiddly Inks. Isn't she cuuuute? !....and OMG, so fun to color! 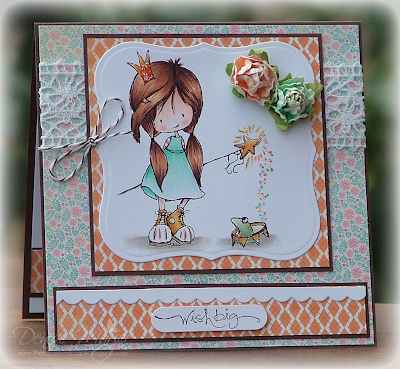 I downloaded TWO of the new Wryn images...this one that I'm showing you on my card today and the one holding the heart bouquet. My card measures 5" square, the layout is Deconstructed Sketch #33, I colored the image with Copics, Stickles were added for sparkle, and the sentiment (from an old SU set) is popped up on foam tape. 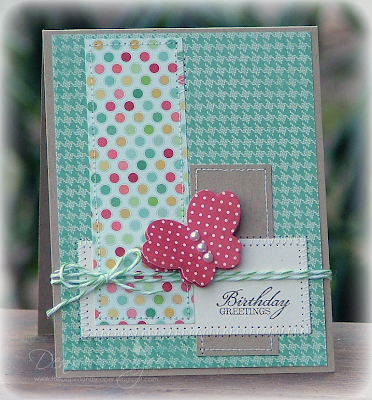 Patterned papers are My Mind's Eye Fine and Dandy. So now that the holidays are over, I'm trying to get back to eating "healthier" foods. 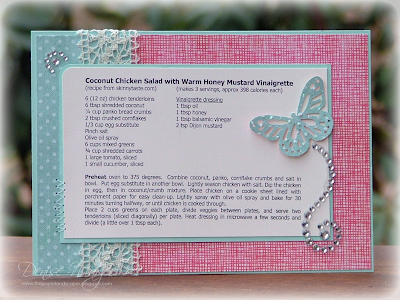 I just tried THIS coconut chicken salad recipe earlier this week from Skinnytaste.com and I really liked it so I figured I'd make it into a recipe card for my binder. 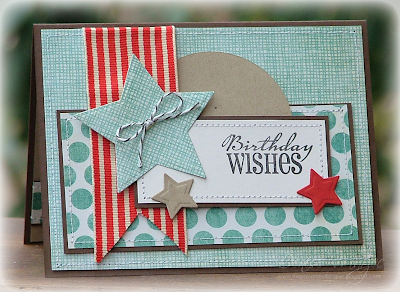 My dad's birthday is coming up later this month so I made this card for him using Mojo Sketch #222. 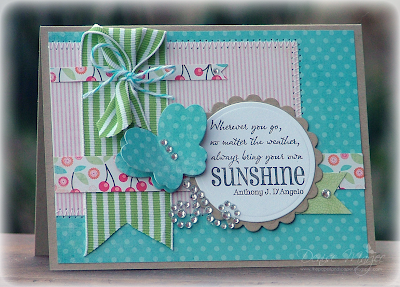 The stamped sentiment is from my Verve "Big Wish" set, papers are My Mind's Eye Ooh La La, and dies are by Spellbinders. The large star is up on foam tape. Both butterflies (SU dies) are up on separate layers of foam tape. 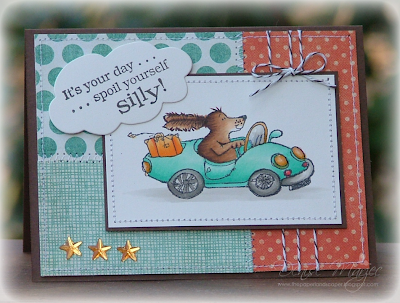 All the patterned papers are from my MME Ooh La La pack. 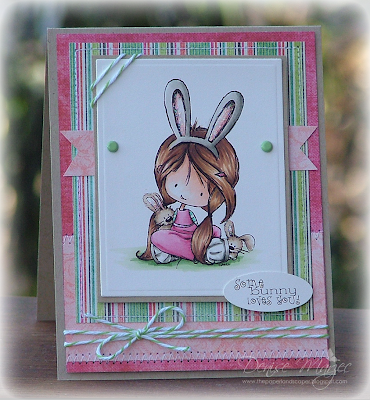 The stamped sentiment is from my Penny Black Critter Party (again...lol!) clear set. That's it for me today...short and sweet. Have a good one! 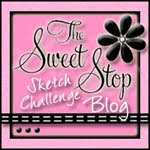 The layout is Karen's Sweet Sunday Sketch. 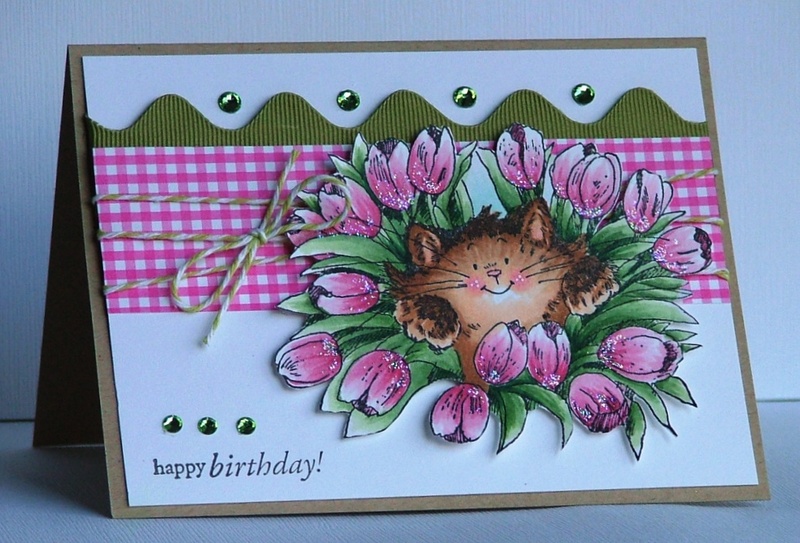 I took inspiration from her card and ruffled up my ribbon. 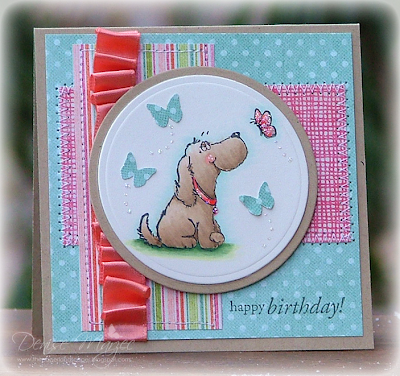 The puppy, stamped butterfly, and sentiment are from my Penny Black Critter Party set (yes, I love this set and use it a lot....especially that birthday sentiment...hope you're not sick of seeing it). 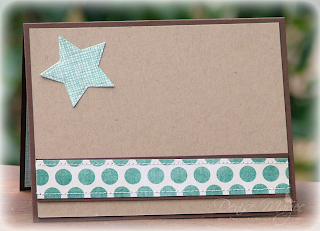 The main image is up on foam tape and Stickles were added for some pretty sparkle. 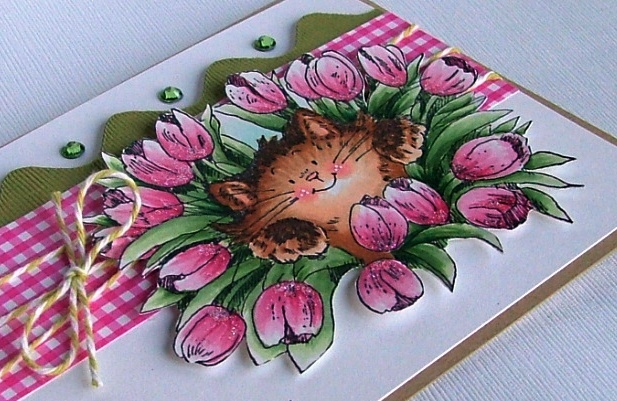 The card measures 4" square. My awesome, sweet friend Dawn (love that girl) sent me a package of goodies last month that included some felt and this SWEET Jolinne stamp. The layout is MFT Sketch #52. Stickles were added to the string of hearts Jolinne is holding. The felt heart and cut-out sentiments are all up on foam tape. Have a really great day! I'll be off this a.m. to the grocery store to stock up on some "healthy" foods.....gotta get a few pounds off (too much indulging in sweets this past month)...ugh!